Farm story from early summer. This year, besides finally pruning the entire front field, I had a goal to finish mulching the entire field of bushes. I had 56 bushes left that had not been mulched before. To mulch a bush, I pull the grass and weeds, and clear a circle around the bush to the dirt. Then, after preparinig 7 or 8 bushes, I would use the wheel barrow t...o bring the mulch over, one load per bush. I was on my last bush, almost done with this goal, when I had a surprise. 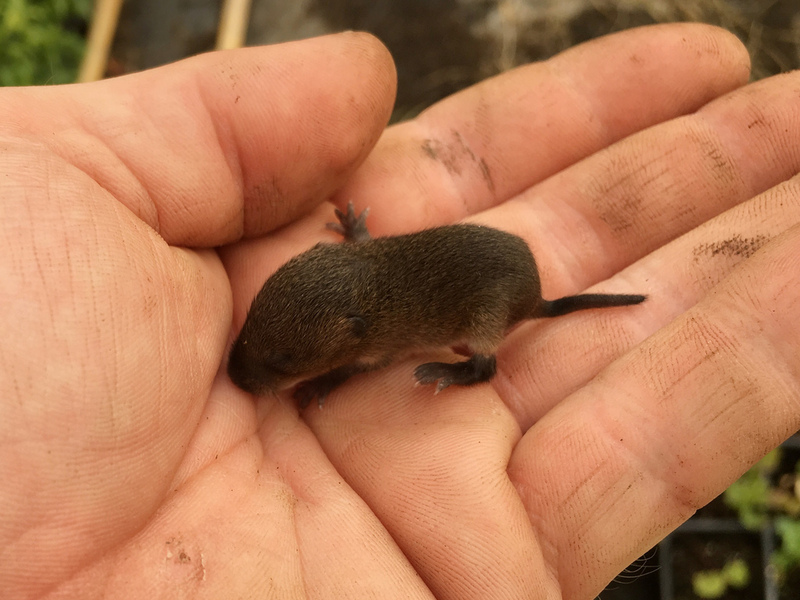 I pulled up a clump of grass and out fell a baby vole. In fact, there was 5 or 6 baby voles in my hands and they were scrambling to escape. Their eyes weren't open, but their instinct was to run. Once I shut my mouth, I grabbed the babies and put them back in the hole and the grass back on top. I decided not to mulch that bush. So, you'll find one bush in the front field, one out of 300, that has not been fully mulched. I figure I'll finish mulching it this fall. The little baby voles were so cute! OK, and I'm a softie. I don't chase the dear out of our fields either. 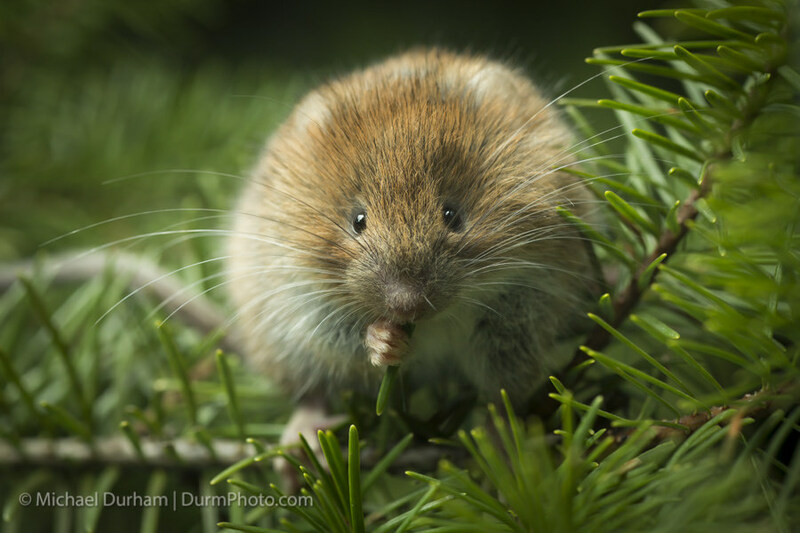 Baby vole photo by Josh Emm; vole photo by Michael Durham.